Thousands of Americans are convicted of crimes they never committed. Many of them end up on death row where inmates have been executed despite their innocence. 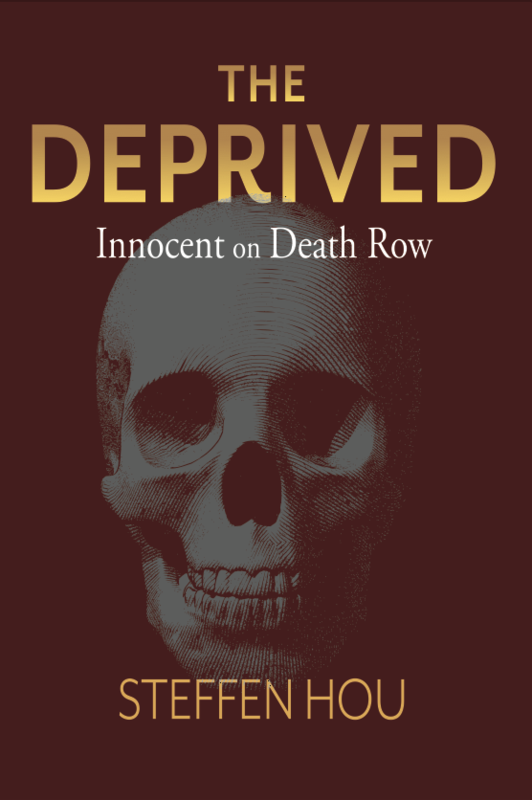 The Deprived—Innocent on Death Row is a true crime book that tells the dramatic stories of death row inmates and describes the murder cases that led to their wrongful convictions and the fact they were deprived of justice, freedom, innocence and worst case their life. 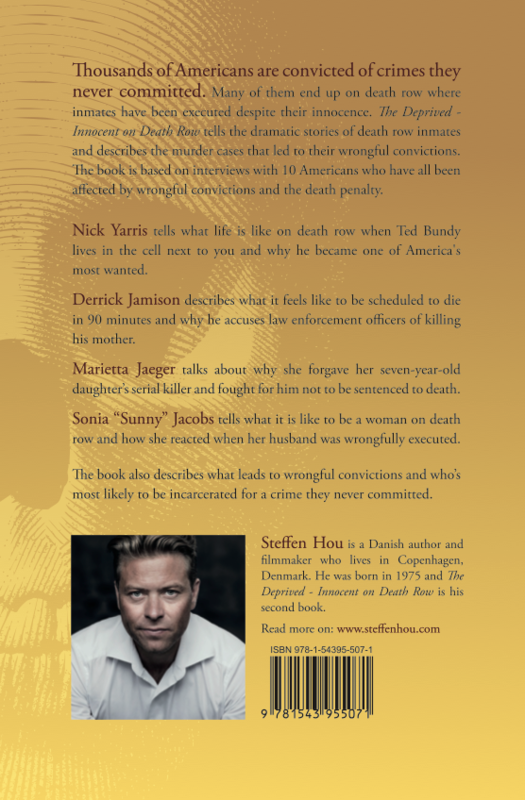 The book is based on interviews with 10 Americans who have all been affected by wrongful convictions and the death penalty. Derrick Jamison tells what it feels like to be scheduled to die in 90 minutes and why he accuses law enforcement officers of killing his mother. Damon Thibodeaux tells what it feels like when even relatives believe you are a cold-blooded killer. Sonia “Sunny” Jacobs tells what it is like to be a woman on death row and how she reacted when her husband was wrongfully executed. Kwame Ajamu tells what it feels like to be put in the death house as a teenager and be deprived the chance of having children. Randy Gardner tells what it did to him when a firing squad executed his brother. Herman Lindsey tells why he is still labeled a murderer even after being exonerated. Ronnie Sandoval tells what it is like when your teenage son is the victim of a wrongful conviction and how she lost him twice. Magdaleno “Leno” Rose-Avilá tells why his own past as a violent gang member turned him into a human activist. Marietta Jaeger tells why she forgave her seven-year-old daughter’s serial killer and fought for him not to be sentenced to death. And Nick Yarris tells what life is like on death row when Ted Bundy lives in the cell next to you, how you survive the violence in prison without becoming a monster yourself, and how you return to life without hating the guards, the prosecutor, the judge, and the jurors who did you wrong. But he also tells why life after prison in some ways has been harder than death row. Furthermore the book also investigates what leads to wrongful convictions and who’s most likely to be incarcerated for a crime they never committed.